Is Ruci an Advanced Stage, or do we have Some Ruci Even from the Beginning? Question: From my understanding of your class on the nine stages of bhakti, it could take a number of years before one got any experiential taste of the practice. 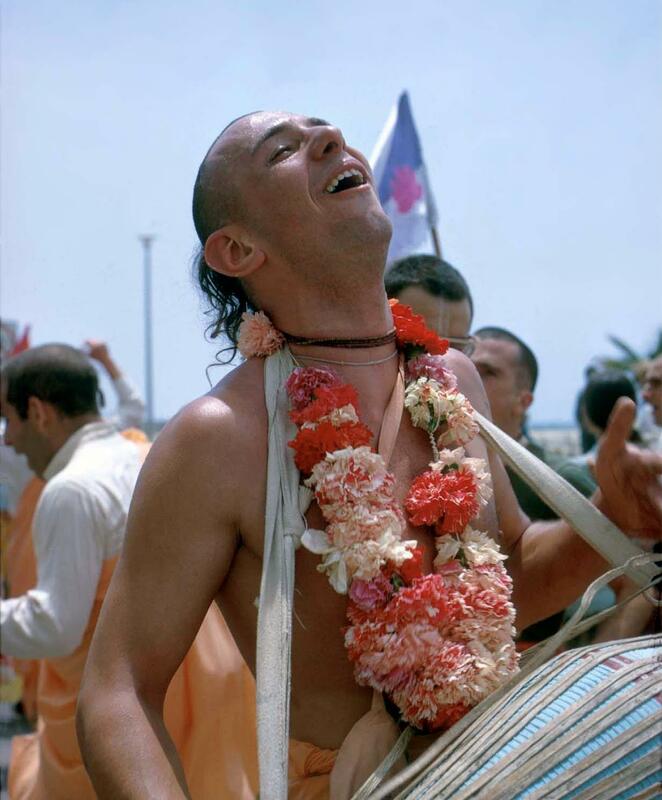 It’s true that it usually takes years (or lifetimes) to come to the stage of ruci (characterized by a taste for the beauty and joy of sādhana-bhakti), but nonetheless one gets small fragments and crumbs of ruci even from the very outset, the very beginning of being involved with Krishna-bhakti. In fact, śraddhā itself (the first stage) is the seed of ruci, and the stages beyond ruci as well. Śraddhā is an attraction to the beauty and joy of Krishna-bhakti, which inspires one with faith and conviction that, “This would be great. I want this.” This śraddhā gradually becomes more intense and fully revealed as one progresses by practicing bhakti under the guidance of sādhus (sādhu-saṅga / bhajana-kriya), and thus dissolving antithetical things from the heart (anartha-nivṛtti). With fewer distractions from antithetical interests, we can practice with deeper concentration (niṣṭhā). This niṣṭhā is simply a more fully mature form of śraddhā, a more fully mature attraction to Krishna-bhakti. By practicing with concentration, we can appreciate the beauty of what we are doing – this is the next stage, ruci. Here, the śraddhā has become sufficiently intense so that it is now the main character of ones experience of sādhana. The stages of sādhana refer to the primary, most prominent characteristic of our practice. The stages of sādhana refer to the primary, most prominent characteristic of our practice. Every stage has some characteristics of some more advanced stages, but we are not at the more advanced stages until those more advanced characteristics become our primary, normal, predominant experience. For example, there is always some ruci (taste for the beauty of bhajan), even from the absolute beginning. But we don’t identify it as being the “stage” of ruci until that taste becomes the most prominent, constant, normative characteristic of our bhajan. Previous Mantra – sounds or words?